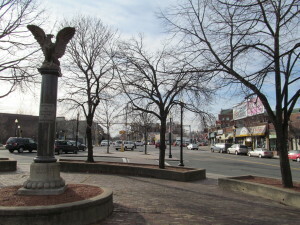 The suburban neighborhood of Allston Brighton, in Boston, Massachusetts, offers some excellent dining, shopping and hotels. Additionally, this suburb attracts many college students, due to it’s proximity to so many prestigious schools. Many of the local residents can be found walking their dogs and enjoying the peaceful ambiance. Additionally, the most famous parks in Boston are only a quick subway train away: Boston Common and Boston Public Garden. Some of the top restaurants in Allston Brighton include: Dolphin Bay, Garlic n’ Lemons, Coreanos, Pikaichi, Holy Crab, Loui Loui and Carlo’s Cucina Italiano. Out of town visitors can also treat themselves to some of the top hotels in Massachusetts. The most popular hotels near Allston Brighton include: Hotel Veritas, Royal Sonesta Boston, Kendall Hotel, The Charles Hotel , The Hyatt Regency Cambridge and Boston Marriott Cambridge. Locally owned “Mom and Pop” shops abound, offering one-of-a-kind gift shopping too.